Anti-Islamic feelings in Europe are experiencing an increase after the Paris attacks last November. Even those Muslim communities that are so small as to be barely perceived face discrimination. The case of Hungary's capital Budapest shows how such sentiment can be incited by the government as well as local populations – and how it affects those individuals concerned. 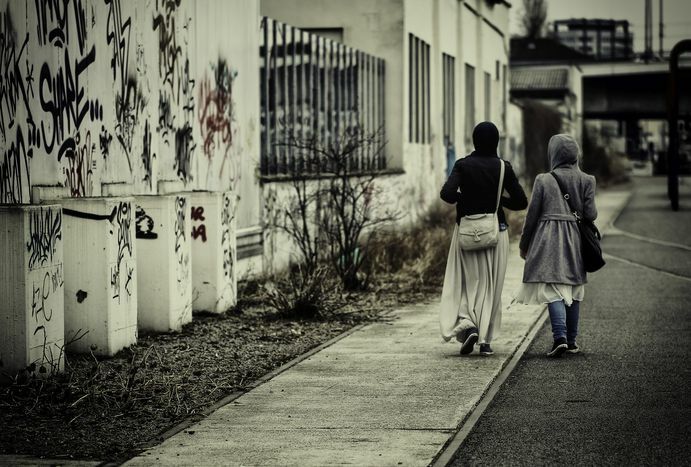 Two women in hijabs, two policemen, and Amir – a Pakistani Muslim now in his third year living in Hungary. He stands next to the armed officers on a tram in Budapest’s city centre. "Look there", he overhears one of them muttering in a low voice, glancing at the women. Checking a Twitter feed as usual on his way to work, it strikes him: scrolling through news of the latest terrorist attacks around the world as a bearded, apparently "foreign" man, can be a dangerous activity when a Hungarian policeman is looking over your shoulder. Trying his best to look as inconspicuous as possible, Amir lets his smartphone slide back into his pocket. According to figures from 2010 from the Organisation of Muslims in Hungary the number hovers somewhere around 32,000. Although many migrants move on to the West or North of Europe, numbers have risen due to the influx into the country last summer. As stated by Sulok Zoltán Szabolcs, president of the organisation, no problem exists from a legal standpoint as Islam in theory has the status of a recognised religion in Hungary. "However," he explains, "sometimes there are very anti-Islamic sentiments." Threats are common content of the mosque’s email inbox. The most glaring example of violence towards the community dates back to 4 years ago. During evening prayers, several cars parked on mosque property were set on fire. Even though the police were called and arrested someone that same night, the incident was not declared a hate crime, because the building itself was not attacked. "This is a sign that your case is not taken seriously," Zoltán continues, "Such incidents receive a lower priority than if, for example, they happened within the Jewish community. Then it would be a very big case." He makes clear the importance of language in the public area. The imam does not even consider there to be a significant difference between the right-wing and left-wing media in their depiction of his religion. The government’s actions in May this year also brought rhetoric into politics more than ever. Billboards funded by the ruling government appeared in public places all over the country – baring anti-immigrant as well as anti-Muslim slogans, all in Hungarian. They were emblazoned with slogans such as: "If you come to Hungary, don't take the jobs of Hungarians!" Zoltán believes that this was something to turn public opinion against refugees before most of them even arrived in the country. They also worsened attitudes towards minorities living in the country already. As Prime Minister Orban's government indicated, its billboards were part of a voter survey on immigration sent to all adult Hungarians. After the survey had been conducted, the UN human rights office powerfully contested questions such as: "Do you agree with the Hungarian government that support should be focused more on Hungarian families and the children they could have, rather than on immigration?" According to Amir, Muslims also face various examples of indirect discrimination. 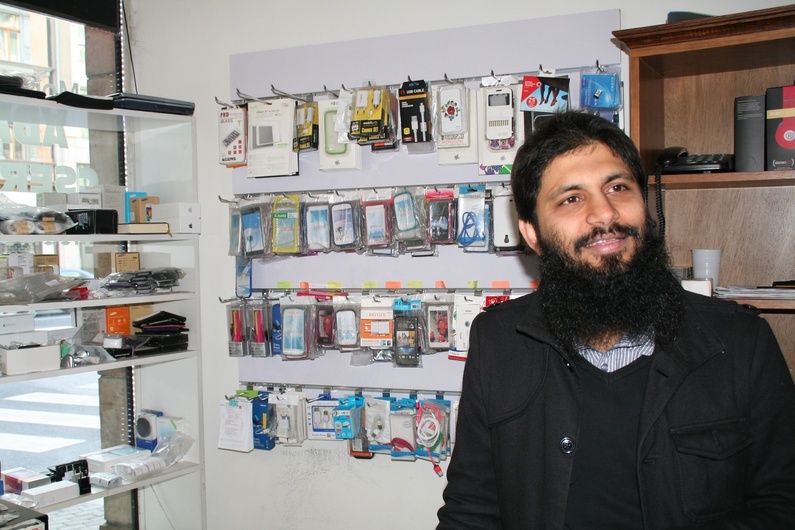 When he came to the country, he had to find a job after leaving a refugee camp. After a few months of searching, he realised he was probably not going to find one – even though he had a master’s degree in political science from a Pakistani university. Although such incidents are worrying for the Muslim community in Budapest, there are some silver linings. "Hungarians don’t get physical as long as you don’t," Amir explains, "Street violence is very uncommon in Hungary, at least in Budapest." "Don’t forget that in Hungary’s capital, you still have quite a multicultural society," adds Mustafa, a non-practising Muslim living in Budapest, "If you look at smaller cities, you’ll see people being much less tolerant. In some of these places, the nationalistic movement is very strong." Two conditions seem to be vital common denominators for a brighter future for Hungary’s Muslims: increased safety and a lack of fear. If only so Amir can scroll through whichever Twitter feed he wants to on the tram.